Inkbay is an innovative platform that is meant to connect artists and enthusiasts while celebrating the art that brings this community together. 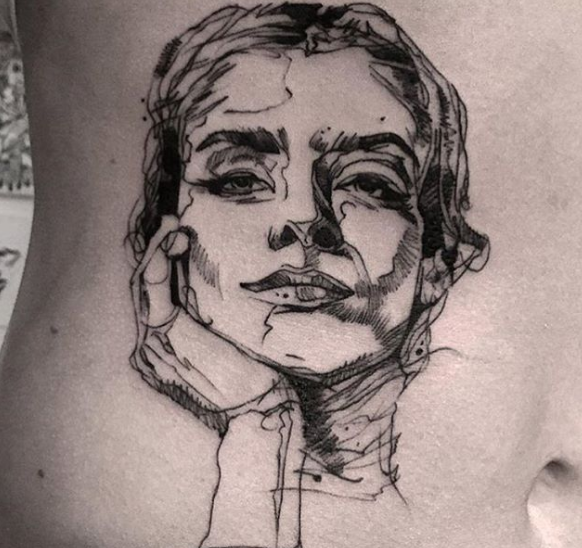 Created in Sweden by a man named Fredrik Glimskar, Inkbay has connections to some of the best artists around. In five years the company hopes to have a global presence but, for now, only those in the United Kingdom, Denmark, and Sweden have access to the program. 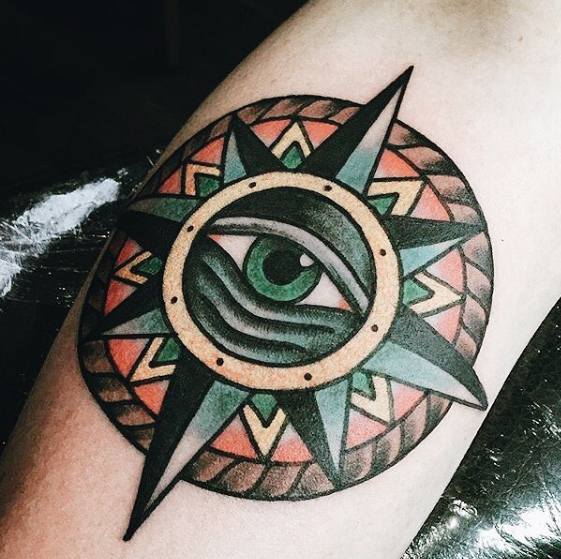 As the tattoo industry continues to grow, it’s no wonder why an extensive program like Inkbay was created. 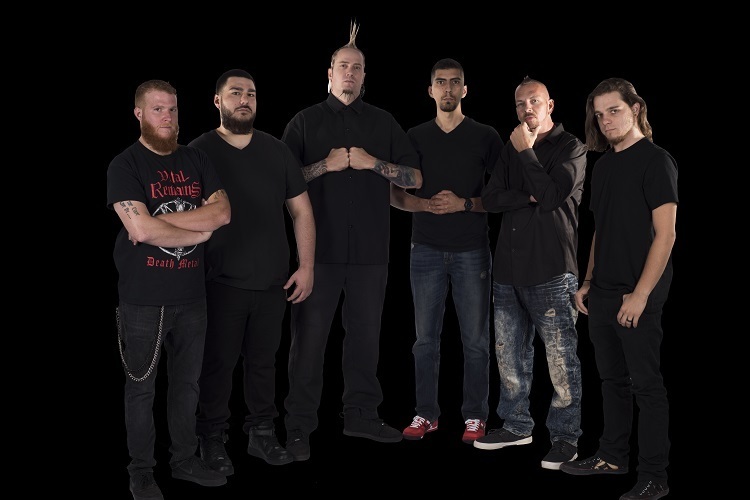 According to a recent study, at least 30% of adults in the United States have at least one body modification – which is a huge surge for an industry that was once considered taboo. With this kind of growth, innovation has to follow. So how does it work? Artists begin the process by posting designs and stencils to the Inkbay gallery. Body art enthusiasts can then scroll through the designs for inspiration until they find a stencil they love. 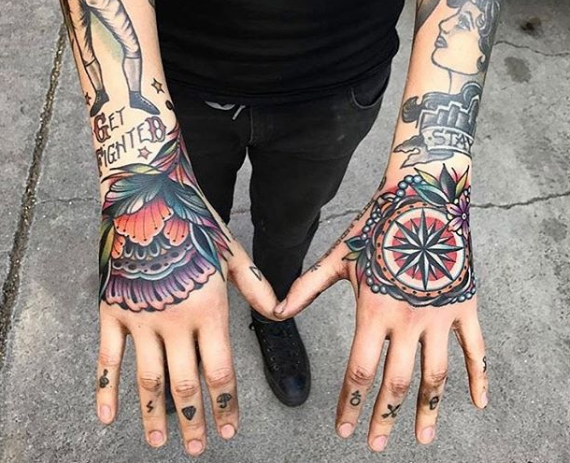 The booking, scheduling, and payment process is taken care of through the interface of the website – so you won’t have to deal with the most complicated aspects of getting a tattoo. Then, the canvas just has to show up to the studio to receive their ink. The site even has a special feature to submit special requests to your favorite artists. This site is a huge step forward for professional artists, who can now promote their work for free and reach a much wider audience. Inkbay might do away with the old-fashioned, word-of-mouth method that the industry usually relies on. 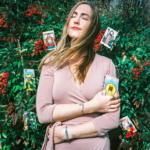 It also gives artists exclusive access to search data so they can stay on top of trends, meet growing demand, and create designs based on what customers are searching for. The Inkbay team is always looking to broaden its network and if you’d like to be promoted on their site, you can get in touch here. 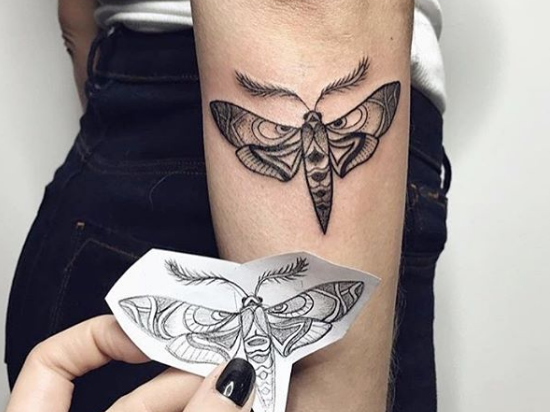 Inkbay also offers an important safety net for body art enthusiasts since the new program only works with qualified, successful tattoo artists. This ensures that the artists are licensed and work in a studio. All of the professionals that appear on the website have been carefully selected. Below are just a few examples of the work you will find through Inkbay. This website features every style of ink imaginable, even a loose sketchbook style like the one below. 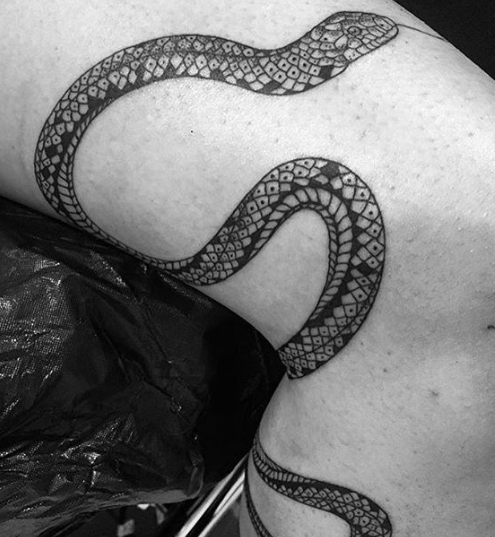 An intricately inked snake weaves in and out of the leg of this lucky canvas. 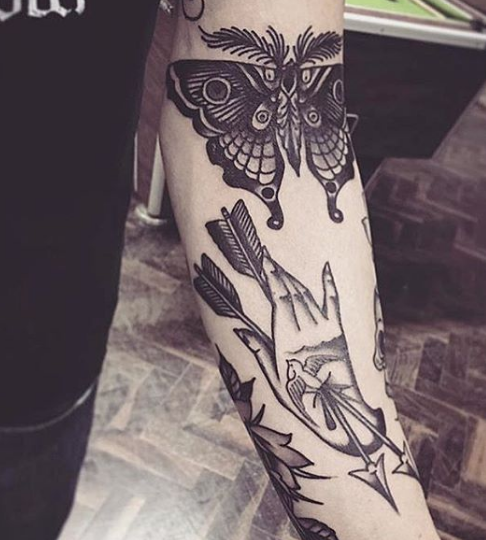 If you’re looking for a specific design, simply submit a request through the artist’s page. Inkbay is a great option if you’re looking for a simple, tight design. 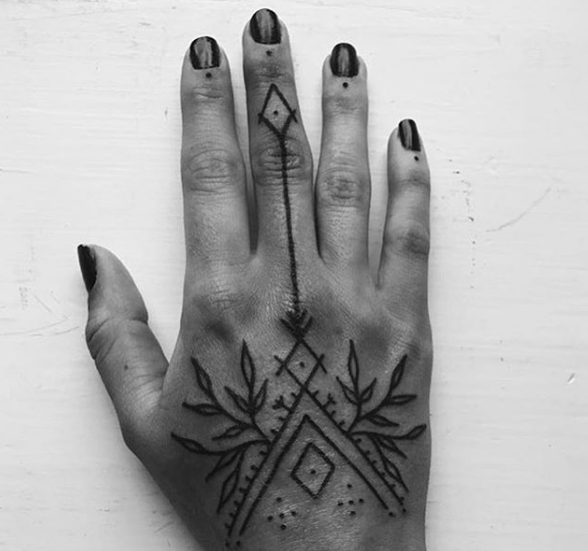 Want a tattoo in a particularly tricky spot? Not a problem! Inkbay even features art that takes inspiration from popular books and movies. 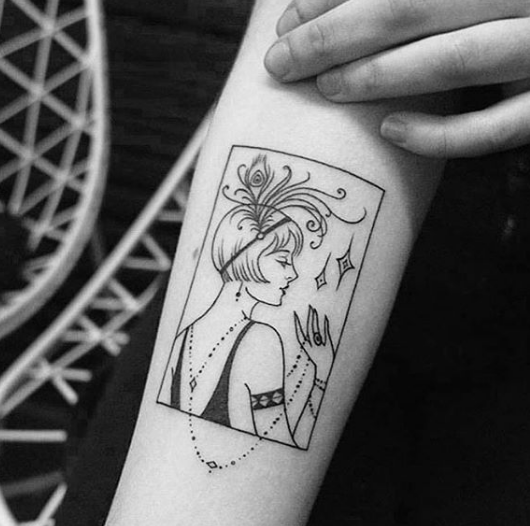 Just take a look at the Great Gatsby inspired ink below. 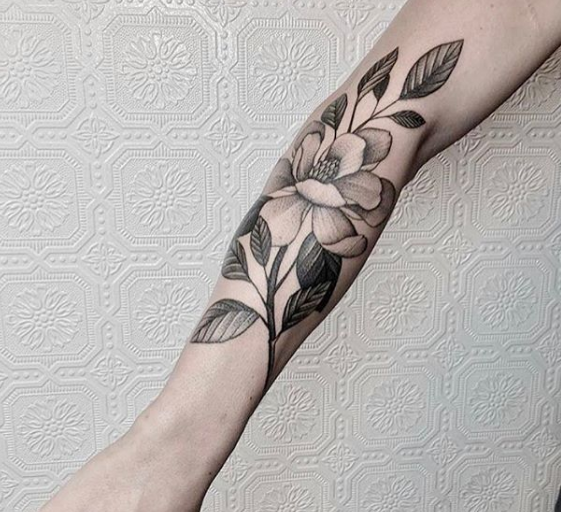 This larger flower tattoo naturally blooms up the forearm. 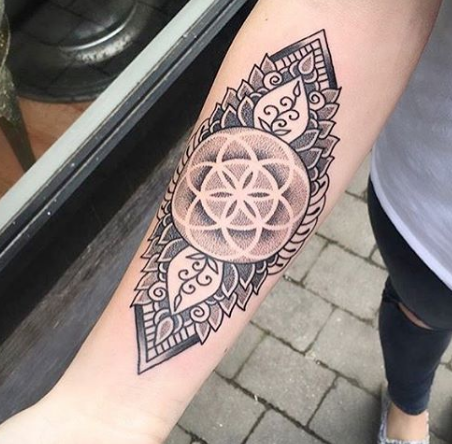 This striking mandala is the perfect example of the talent you’ll be connected to through this platform. 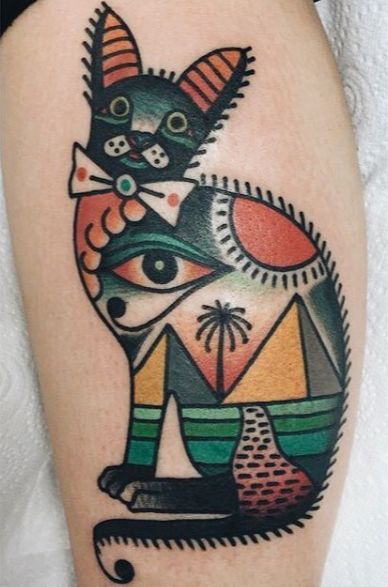 Add a splash of color to your body art collection with an eye-catching traditional tattoo. Inkbay is a great way to broaden your artistic horizons and find a style that speaks to you.